May 2014, Athens, Greece. The conference website is: http://www.atiner.gr/healthsciences.htm. Greek night of entertainment with dinner, a special one-day cruise in the Greek islands, an archaeological tour of Athens and a one-day visit to Delphi. submitting form available athttp://www.atiner.gr/2014/FORM-HSC.doc. Decisions are reached within 4 weeks. the form (membership form). For more information or suggestions, please send an email to: info@atiner.gr. For more information see http://zzjzbpz.hr/images/stories/publikacije/one-health-2014/One-health-za-web-ENG.pdf and http://www.zzjzbpz.hr/. The University of Liverpool and the University of Georgia will co-sponsor the second annual One Health International Symposium in Liverpool, England June 19-21, 2014. Participants will engage international delegates from industry and government in a comprehensive One Health approach. Registration is still open! View full program. Please forward to your listserv, colleagues, students, and other potentially interested persons. From all of us at One Health Academy, we want to thank all of you that made it to events the past few months. We have had a terrific turnout and appreciate the continued support. Your continued support is what fosters the mentorship and interaction of the One Health Academy. There are two upcoming events around One Health. - The Department of Homeland Security is having a talk this Friday, July 11th, on Value Based Approach to Emergency Preparedness. You can attend in person or by webinar, see here. - UC Davis is hosting a One Health Symposium on Sunday, August 24th. You can attend in person or remotely and CE and CME credits are available for the full day event. Click here for more info. Stay tuned as we fill our schedule for the Fall. The dates for the Fall meetings are on the left. If you have any ideas for speakers or questions/concerns, don't hesitate to e-mail onehealthacademy@gmail.com. The theme for the 2014 conference is: "Zoonoses in a Changing World: Two Professions, One Health" and sessions scheduled (subject to change at this preliminary stage) include: Antimicrobial Resistance; Parasites and Pets; Impact of globalisation, livestock and agricultural practices (including aquaculture); Travel, Ecotourism and Emerging Zoonoses; New Technologies for studying Zoonoses; Arthropod-borne diseases in Australia; and Animals as Sentinels. Prof. Peter Doherty, Nobel Laureate veterinarian and medical researcher, has graciously agreed to present the plenary session. This meeting is anticipated to attract a mix of infectious disease physicians and trainees, veterinary officers and veterinarians, microbiologists, laboratory scientists, public health physicians, researchers, policy officers, travel and tropical medicine specialists, epidemiologists, nurses and program managers and other health care professionals. Note: Dr. Doherty is a member of the One Health Initiative Honorary Advisory Board http://www.onehealthinitiative.com/advBoard.php. The WDA is seeking abstract submissions for both oral presentations and posters from professionals and students from within the field of public health and epidemiology. Health of wildlife, domestic animals, humans, and their environments (One Health), has been a focus of the WDA for more than 50 years. For the first time, this year’s conference is being co-sponsored by the National Association of State Public Health Veterinarians and will feature unique opportunities for inter-disciplinary interaction and dialogue. The conference theme is “One Health: Transitioning from Theory to Practice”. The 2014 International Conference of the Wildlife Disease Association will be held at the Tamaya Resort at Santa Ana Pueblo, near Bernalillo, New Mexico, USA from July 27th-Aug 1st 2014. Anticipated focus sessions will include One Health in practice, zoonotic diseases of the American Southwest, and the impact of human development on wildlife health and environmental health. We encourage submission of contributed papers and posters on these topics as well as new findings in other areas of One Health, wildlife disease, public health and environmental health. Submissions by students are encouraged for featured student sessions and awards competition. Jennifer N. Hogan, Woutrina A. Miller, Michael R. Cranfield, Jan Ramer, James Hassell, Jean Bosco Noheri, Patricia A. Conrad, and Kirsten V. K. Gilardi. Deadline for abstract submission: Friday, March 28, 2014. This deadline is for submissions of abstracts for both oral presentations and posters. Deadlines for student competition submissions are variable depending on specific award. For all abstracts, an email stating we have received your submission will be sent within 5 working days of receipt. Notification of acceptance will be sent to authors by May 5, 2014. The Center for Continuing Professional Education and Students for One Health are proud to present UC Davis' first annual One Health CE Symposium. Highlighting the wide clinical and research applications of One Health, the event will feature talks on infectious disease, comparative medicine, international outreach, and more. The event is open to students, faculty, clients, and the general public. For those who are not able to join us in Davis, we are offering remote access via webinar. CE Credit: Up to 8 hours of CE credit will be offered to participating veterinarians. CME Credit: The University of California, Davis Health System is accredited by the Accreditation Council for Continuing Medical Education to provide continuing medical education for physicians. AMA PRA Category 1 Credits™ can be used by multidisciplinary team members. Physician Credit: The University of California, Davis, Health System designates this live activity for a maximum of 8 AMA PRA Category 1 Credits™. Physicians should only claim the credit commensurate with the extent of their participation in the activity. Nurse: For the purpose of recertification, the American Nurses Credentialing Center accepts AMA PRA Category 1 Credits™ issued by organizations accredited by the ACCME. For the purpose of relicensure, the California Board of Registered Nursing accepts AMA PRA Category 1 Credits™. Psychologist: This educational activity is recognized by the California Board of Psychology as meeting the continuing education requirements toward license renewal for California psychologist (self-reporting required). Sonographer/Vascular Technician: AMA PRA Category 1 CreditTM meets the requirements of the Accepted Continuing Education Evaluation Model System (AACEEMS) Checklist of the American Registry for Diagnostic Sonography (ARDMS). We are pleased to invite you to the “One Health International Conference 2014”, which will be held at the University of Peradeniya, Peradeniya, Sri Lanka, on 5-6 September, 2014. This event is jointly organized by the University of Peradeniya and University of California Davis, USA. We welcome researchers, professionals and students in the field of One Health from all over the world who wish to share knowledge on human, animal and environmental interactions. We especially encourage young scientists and graduate students to attend this conference. The World Association for the History of Veterinary History will be meeting at Imperial College London, 10-13 September 2014. The call for papers is now open. The two conference themes are ‘the history of One Health’, and ‘war, animals and the veterinary profession.’ Papers and posters are invited on these and other topics relating to the history of animal health and veterinary medicine. Please submit an abstract using the form at www.veterinaryhistorylondon.com . The deadline is 31 Jan 2014. This is the first time that this meeting has been held in the UK. Typically, it attracts delegates from over 20 countries, who span the disciplines of veterinary medicine, human medicine, science, history and archaeology. Ten student bursaries of up to £250 each are available. Please see the website for details. For all information, please visit the conference website. Check our website www.onehealthbmf.com for the full programme and please do book as soon as you can as places are filling up. Also see http://www.onehealthbmf.com/links/. This is an exciting conference and Bella Moss Foundation are delighted to be hosting this as a joint meeting with the Royal Society of Medicine. Emerging zoonotic diseases: new threats for old? *Prof David Heymann, Prof of Infectious Disease Epidemiology, London School of Hygiene and Tropical Medicine. [September 12, 2014; Philadelphia, PA] – From a major Ebola outbreak in West Africa to MERS in Saudi Arabia to polio in Syria to chikungunya in the Caribbean, the news these days is full of stories about viruses. The Microbial Communities in Health and Disease symposium, sponsored by Penn Vet, in collaboration with the University of Pennsylvania’s Perelman School of Medicine and School of Arts & Sciences, will explore how bacteria, parasites, viruses, and other organisms interact with their animal and human hosts in ways that either maintain health or lead to disease. The timely, two-day symposium will begin with a special public event – a discussion with acclaimed science writer Carl Zimmer on Wednesday, October 15, 2014 from 6-7:30pm at the Inn at Penn (3600 Sansom St., Philadelphia). Presentations for the scientific community will take place at Penn Vet’s Hill Pavilion (380 S. University Ave., Philadelphia) on Thursday, October 16, 2014. Admission is FREE, but registration is required at www.vet.upenn.edu/carlzimmer (for the 10/15 event) and http://www.vet.upenn.edu/chmisymposium (for the 10/16 presentations). Author and New York Times columnist Carl Zimmer will discuss “A Planet of Viruses: How Humans Can Live Safely on a Viral World.” One of the most frightening things about viruses is how they emerge without warning, vanish mysteriously, and then return again even more dangerous than before. Zimmer will discuss how scientists are uncovering the hidden rules by which new viruses evolve and spread. To do so, they’re exploring the networks of connections that join human societies together and also link our species to other animals with which we share the planet—and with which we can share diseases. This event is made possible in part by the Provost Interdisciplinary Seminar Fund Award and exemplifies the One Health Initiative, which is dedicated to improving the lives of all species through the integration of human medicine, veterinary medicine, and environmental science. The symposium is spearheaded by Penn Vet’s Center for Host-Microbial Interactions. The Center funded five pilot projects last year to explore the intersection of microbes and disease in order to benefit both animal and human health. The second round of funded projects will be announced next month. For more information, visit www.vet.upenn.edu/chmi. NOTE: The University of Pennsylvania, School of Veterinary Medicine is a recognized & valued longstanding One Health oriented institution of higher learning in the USA. The Zoobiquity 2014 conference focuses on how rapidly changing local and global environments affect the health of humans and animals. Through case presentations and interactive discussions, human and veterinary medicine experts as well as environmental health scientists will explore the clinical overlaps between human and animal response to environmental factors, including climate, the built environment, air pollution, and domestic violence. By fostering this cutting-edge “One Health” dialogue, the conference will demonstrate how a species-spanning approach to medicine can improve human, animal, and environmental health. Dr. Rabinowitz is a member of the One Health Initiative team’s Honorary Advisory Board http://www.onehealthinitiative.com/advBoard.php. Now in its fourth year, MCM has established itself as a unique interdisciplinary one-year master’s program. It provides specific training, knowledge and skills for graduate students interested in pursuing a career that focuses on health relationships occurring at the interface of humans, animals and the environment. Application deadline for fall 2015 enrollment: April 1, 2015. Please contact mcm@tufts.edu to RSVP attendance for the Open Hours and to schedule a faculty meeting time (spaces limited) or to RSVP for the Informational Webinar. Cummings School of Veterinary Medicine at Tufts University offers two other master’s degree programs which address emerging One Health challenges. The MS in Animals and Public Policy focuses on human-animal relationships and their implications for policy and community action. A new MS in Infectious Disease and Global Health is intended to train students in understanding the emergence, establishment and spread of infectious agents across the globe. Applications open for the academic year 2014-2015! The training is aimed at physicians, pharmacists, veterinarians, agricultural or food-processing engineers, agronomists and biologists. It is open to international students and taught entirely in English. The MAN-IMAL training also includes an expert level for PhD students or students opting for deeper professional specialization. The programme is supported by the French government via the National Research Agency. The 2nd-year Master’s course starts in November 2014 and applications are open till 6th June 2014. Now in its fourth year, MCM has established itself as a unique interdisciplinary one-year master’s program. It provides specific training, knowledge and skills for graduate students interested in pursuing a career that focuses on health relationships occurring at the interface of humans, animals and the environment. Early applications for 2015-16 program are currently being accepted. Please contact mcm@tufts.edu to RSVP attendance for the Informational Webinar. Mark your calendars for Wednesday, March 4, 2015! Co-Founder of the One Health Initiative, Dr. Laura Kahn, will be giving a talk over “Physicians, Farmers, and the Politics of Antimicrobial Resistance.” This seminar will be from 12:00 pm – 1:00 pm at the Texas Institute for Preclinical Studies (TIPS) Auditorium (please see flyer below/attached). If you have any questions, please contact the One Health office at onehealth@tamu.edu or 979-845-1393.
development, strengthen public safety, and boost economic growth based on the One Health concept. One Health is an integrative effort of multiple disciplines working together to attain optimal health for people, animals, and the environment. This Conference will bring together veterinarians, clinicians, and basic researchers with the aim of providing information and advice on how basic and applied biomedical research—utilizing the concept of One Health—can advance the National Institutes of Health (NIH) human health and disease mission. Participants will discuss case studies in which multidisciplinary teams combine investigations using both animal and human subjects to study various conditions, including infectious disease, cancer, and neurological disease. Training programs that bring together investigators from diverse disciplines, including veterinary science, also play a critical role in advancing the One Health concept. Participants will discuss examples of training programs that use the One Health strategy and will identify best practices for training veterinarian scientists to be part of interdisciplinary biomedical research teams. Based on these various case studies and roundtable discussions, participants and attendees will provide input on how the NIH might further its mission by incorporating the One Health concept into research and training programs. The Office of Research Infrastructure Programs (ORIP), within the Division of Program Coordination, Planning, and Strategic Initiatives in the Office of the NIH Director, is pleased to sponsor this conference. ORIP funds animal-based resources and research projects and plays a central role at the NIH in training veterinarian scientists (see http://dpcpsi.nih.gov/orip/index). Therefore, ORIP seeks advice regarding future directions for its programs, including alignment with recommendations from the 2014 NIH Physician-Scientist Workforce Working Group Report (http://report.nih.gov/workforce/psw/index.aspx) and initiatives being planned by veterinary schools to partner with NIH-funded Clinical and Translational Science Centers and other resources. Manuel Moro, D.V.M., M.P.H., Ph.D. The Annual Conference on Vaccine Research (ACVR) provides high-quality, current reports of scientific progress and best practices featured in both invited presentations and submitted oral abstracts and posters. The ACVR brings together the diverse disciplines involved in the research and development of vaccines and associated technologies for disease control through immunization. By drawing upon an international audience of scientists and researchers, healthcare professionals and trainees, veterinarians, vaccine manufacturers, and public health officials, the conference is designed to encourage the exchange of ideas across a broad range of disciplines. All seminars hosted on Wednesdays at 1pm in room 175 of the Paul D. Coverdell Center and will be followed by a reception. Natural disasters and “One – Health” Are we prepared? 7:50 A.M. – 6:00 P.M. Early registration for the Zoobiquity Boston Conference is now open! One Health is a concept that integrates human, animal, and environmental health. Recognizing that the health of each part of this triad is inextricably linked to the others, proponents include the American Medical Association, American Veterinary Medical Association, Centers for Disease Control and Prevention and the National Environmental Health Association. Complex health-related issues like climate change, food production, chemical resistance, disease transmission, environmental contamination, land use, and regulatory decisions have dire consequences that require effective communication among experts in multiple disciplines, policymakers, and the lay public. This presentation is intended to enhance awareness of One Health and to inspire efforts toward improving interdisciplinary communication and collaboration that are essential as we respond to local, national and global health challenges. Nancy Chaney, RN, MS is a member of the One Health Initiative www.onehealthinitiative.com team’s international One Health Advisory Board http://www.onehealthinitiative.com/advBoard.php. She previously worked as a registered nurse and holds a master’s degree in environmental science from the University of Idaho. She served two terms as mayor of Moscow, Idaho and was elected to state and national policymaking positions. She and her husband, a veterinarian and professor emeritus of veterinary medicine at Washington State University, co-own a specialty veterinary business in Moscow. Suzanne Kurtz, PhD http://vcs.vetmed.wsu.edu/people/faculty/h-o/kurtz, is a clinical professor in WSU’s College of Veterinary Medicine, where she was founding director of the Clinical Communication Program. Dr. Kurtz is professor emeritus of the University of Calgary (Canada). Focusing on improving communication in human and veterinary medicine, she continues to consult nationally and internationally and has worked with physicians, veterinarians, allied health professionals, students and residents, medical and veterinary faculties, government agencies, and professional organizations across the medical and veterinary specialties. During the conference breaks, poster sessions will take place. Please send your poster abstract to secretariat@worldvet.org by 1th April 2015. This summer, the Duke Global Health Institute (DGHI) will launch a new One Health training program led by *Greg Gray, MD, MPH, a professor at DGHI, Duke’s Division of Infectious Diseases and the Nicholas School of the Environment. Applications are now being accepted for the program, which runs from May 14 to June 7 in Durham, North Carolina. With rapid transportation of people, animals, and food, now the norm in many world economies, we are facing new complex zoonotic diseases and food safety problems on a scale never seen before. To respond to and control these problems, we will need new approaches. One Health, an interdisciplinary approach that encompasses animal, human, and environmental health, has been embraced as a way forward by many groups of professional experts. It is a worldwide strategy for advancing health care in humans, animals and the environment through communication and collaboration between multiple disciplines with the realization that human, animal, and environmental health are all connected. The Duke One Health team serves as a base for the rapidly expanding Duke research portfolio in One Health, as well as a hub for encouraging ongoing campus-wide research activities in this field. Duke has an expansive academic and clinical network both domestically and abroad. This team provides a strong, interdisciplinary base for ongoing One Health activities across this network. Please join One Health Academy on Thursday, June 11th, 2015 at 6:30 PM at the NEW Capital Yacht Club (660 Water St SW) in Washington, DC where we will be outside at the waterfront grilling out and our guest speaker will be Dr Ade Ojeniyi. Please RSVP, see below. Dr. Ojeniyi will discuss One Homo Sapiens, One Animal, One Environment, One Medicine and One Health. If you missed the last talk, the recorded webinar is available here. Thanks again to One Health Commission for their support on this! We are hoping to have a great time socializing outside by the water after a short talk by Dr. Ade Ojeniyi. Dr. Ojeniyi has had a storied career with experiences both in veterinary and human medicine. He has consulted and worked both in government and academics in Nigeria, the United States, Denmark and Greenland. Most of his research has been focused on enteric diseases and antibiotics particularly in production animals. He has also spoken extensively on HIV and substance abuse and has helped to train many nurses, veterinarians, physicians and graduate students throughout his career. Until 2009, Dr. Ojeniyi was chief physician and head of the department of community of medicine for Greenland. Currently, he is based back in Denmark. Dr. Ojeniyi was born and raised in Nigeria where he attained his Bachelor of Science. He then went to Denmark and received his DVM at the Royal Veterinary University. Subsequently, he received his PhD at Unviversity of Ibadan in Nigeria. If that was not enough, he returned to Denmark and received his MD at the University of Copenhagen. He has a certificate in International Health and training in acupuncture. Please RSVP by emailing Onehealthacademy@gmail.com with your name and the name of any guests attending. Payment will be taken at the door by cash or check. All RSVPs should be in by the Monday before the meeting, May 11th. If you end up not being able to make it after your RSVP, please let us know at onehealthacademy@gmail.com as we factor in the cost for food based on RSVP count. Parking can be found on the street or across the street at a Colonial Parking lot. FREE webinar Understanding Bartonella: A One Health Perspective to be held July 10, 2015 from 12 to 2pm EDT. The goal is to help educate as many people as possible about Bartonella. Feel free to add this information directly to your own website and hyperlink back to our FREE Webinar page (http://www.galaxydx.com/web/?p=1812). Speakers will include subject matter experts Edward Breitschwerdt, DVM and B. Robert Mozayeni, MD. Medical, veterinary and public health professionals will benefit from attending this webinar. A preliminary agenda will be posted shortly. Registration is now open. There is no cost to attend the live Webinar but advance registration is required. Click here to register. The purpose of the third One Health Illinois Summit is to update, through a series of presentations and discussion, the current health of Illinois human, animal and ecosystem communities; efforts to develop an integrated health surveillance system; current and recent One Health research projects; trends regarding zoonotic and infectious diseases; and current and potential health policy initiatives. As with the original One Health Summit in 2010, presentations will be summarized and an action plan for identified issues will be developed. Note: Dr. Carter is listed on the One Health Initiative Supporters page http://www.onehealthinitiative.com/supporters.php. …As we all know that, veterinarians play a leading role for performing disease surveillance of specific zoonoses and therefore, they are central to the human–animal relationship in terms of one health concept. So that, the risks regardless of whether they are threaten animals, humans or both, can be prevented at their source in animals. Please consider joining ISID, ProMED and ASM in a new one-day collaborative symposium, Emerging Infectious Diseases in the Time of Ebola, at ICAAC/ICC on Thursday, September 17, 2015. With the goal of providing a critical update on emerging infectious diseases in a global context, an international panel of infectious disease experts will discuss updates on advances in understanding and investigating emerging diseases and evolving methods for predicting, detecting and managing outbreaks. Sessions will fully embody the "One Health" model of emerging diseases, recognizing the commonality of human, animal and environmental health. The symposium is designed to create a lively atmosphere for discussion and exchange of knowledge. It is suited for researchers, clinicians, veterinary health specialists, microbiologists, virologists, public health officials and policy makers at all levels interested in emerging pathogens and outbreak control. One Health is an integrative effort of multiple disciplines working collaboratively to attain optimal health for people, animals, and the environment. Midwestern University invites you to join expert pairs of physicians and veterinarians as they jointly explore the topics of obesity, osteochondritis dissecans, epilepsy and pneumonia. Keynote speaker Gail Hansen, DVM, MPH, Senior Officer for the Antibiotic Resistance Project for The Pew Charitable Trusts will present on this area of work. Keynote speaker Patricia Olson, DVM, PhD, consultant, will present her work on One Health research. Physicians who wish to expand their knowledge of the increasing role of One Health in their practice, including antibiotic resistance. Researchers who wish to engage with other researchers in the One Health space. Academic and private practice veterinarians interested in One Health. This free, half-day rabies symposium and webinar broadcast will consist of presentations from rabies experts and provide a forum for discussion. The conference will bring together internationally recognized experts in rabies from academia, private and public health disciplines. A concurrent live webinar broadcast of the Symposium will allow for a broader audience to participate outside of the live site and will provide a recording for later viewing. Speakers will include subject matter experts Charles Rupprecht, VMD, MS, PhD, Jennifer House, DVM, MPH, Richard Franka, DVM, PhD, MPH, Rodney Willoughby, MD, Robin Levis, PhD and Zhen Fu, DVM, PhD. Click here to view the preliminary agenda. Physicians, Nurse Practitioners, Nurse Technicians, Medical professionals, Medical students, Health Educators, Pharmacists, Pharmacy Technicians, Epidemiologists, Laboratorians, DOs, Veterinarians, Veterinarian Technicians and Veterinary Students will benefit from attending this FREE program. Continuing education credits for Veterinarians and Veterinary Technicians will be provided via Colorado State University. Our mission is to educate as many people as possible about the prevention of rabies. As an advocate for One Health, please share this information with others who may be interested in your own networks and listservs (email, website, social media etc). Feel free to add this information directly to your own website and hyperlink back to this page. If you have questions, please contact Peter Costa at pcosta@onehealthcommission.org. The One Health Commission is proud to share announcement of a free webinar, MERS/Ebola/One Health, and the Global Health Security Agenda, being hosted by Georgetown University on October 29, 8:30 a.m. until 3 p.m. Eastern Time. There is no cost to attend, but to acquire your own personal log-in link, you must pre-register. Click here to register. We hope to 'see' you there. Ames, IA – Recent outbreaks of plague, tularemia and increasing incidents of rabies exposure highlight the importance of zoonotic disease education for veterinarians, physicians, and public health professionals. Prevention and response efforts will require a One Health approach. The Center for Food Security and Public Health (CFSPH) at Iowa State University College of Veterinary Medicine will offer a web-based course, Zoonoses: Protecting People and Their Pets, October 19 – November 27, 2015. This course provides an excellent opportunity for medical, public health and veterinary professionals and students to refresh and gain knowledge of key zoonotic diseases of companion animals. The course is web-based and includes lessons, case studies, a discussion board, and online resources to assist course participants in educating clients about zoonotic disease prevention. The course is approved for 8.5 hours of continuing education credit in jurisdictions which recognize AAVSB RACE approval. The course is supported by the Center of Excellence for Emerging and Zoonotic Animal Diseases (CEEZAD) at Kansas State University, a Department of Homeland Security Center of Excellence. CEEZAD support enables users to take the $250 course at a cost of $125. Participants also receive a copy of the course textbook (a $70 value). Veterinary CE Credit: This program has been approved for 8.5 hours of continuing education credit in jurisdictions which recognize AAVSB RACE approval; however participants should be aware that some boards have limitations on the number of hours accepted in certain categories and/or restrictions on certain methods of delivery of continuing education. Call the Center for Food Security and Public Health, 515-294-7189, for further information. The Center for Food Security and Public Health (CFSPH) is nationally and internationally recognized for providing educational materials and animal disease information. The CFSPH was established in 2002 through funding from the Centers for Disease Control and Prevention (CDC) to increase national and international preparedness for accidental or intentional introduction of diseases that threaten food production or public health. The CFSPH website (www.cfsph.iastate.edu) is the Number One result on Google searches for “animal disease information,” with more than 450,000 visits annually. Mark C. Poznansky, M.D., Ph.D.
Dr. Mark Poznansky, MD, PhD, is actively involved in the preclinical development of promising vaccines and therapies based on the insights of immunology. Since 2009 he has served as the director of the translational Vaccine and Immunotherapy Center (VIC) at MGH. The research and development activities of VIC is funded by the NIH, DoD, private foundations and philanthropists to support the development of novel vaccines and immunotherapies for cancer, infectious diseases and type 1 diabetes. The goal of VIC is to enable efficient and rapid transition of promising technologies through preclinical development and into clinical stage of development through technology spin outs, partnerships or outlicensing. The VIC pipeline currently encompasses six different therapeutic or vaccine candidates at different stages of preclinical development. Through the center Dr. Poznansky oversees the research work of a team of investigators, postdoctoral fellows and other trainees addressing key research questions regarding these new therapeutics and vaccines, and leads an operational group that facilitates the execution of business, regulatory, manufacturing, and other developmental tasks associated with the preclinical translation of these candidates. [September 30, 2015; Philadelphia, PA] – Antibiotic resistance. Innate immunity. Pathogenic microbes. Research on the microbiome continues to pique the interest of many, as scientists explore how bacteria, parasites, viruses, and other organisms interact with their animal and human hosts in ways that either maintain health or lead to disease. These topics and more will be discussed at the upcoming Microbiome Symposium, presented by Penn Vet’s Center for Host-Microbial Interactions and the PennCHOP Microbiome Program. The two-day symposium will begin with a special public event – a discussion with Dr. Jo Handelsman, Associate Director for Science at the White House Office of Science and Technology Policy (OSTP). Her talk, “The Earth's Microbiomes: Opportunities for Research and Policy,” will take place on Wednesday, October 28, 2015, from 6-7:30pm at Penn Vet’s Hill Pavilion (380 S. University Ave., Philadelphia). According to Dr. Handelsman, there is tremendous potential for managing microbiomes to achieve beneficial outcomes for human health, agricultural productivity, clean energy supply, environmental health, and the economy. However, she believes that a new approach to microbiome research is needed. Admission to this event is FREE, but registration is recommended at http://www.vet.upenn.edu/CHMI-Symposium-2015. Presentations for the scientific community will take place on Thursday, October 29, 2015, at the Biomedical Research Building (421 Curie Blvd., Philadelphia). Registration is available here. Dr. Jo Handelsman was appointed to her position by President Obama and confirmed by the Senate in June of 2014. In this role, she helps to advise President Obama on the implications of science for the nation, ways in which science can inform U.S. policy, and federal efforts in support of scientific research. Dr. Handelsman is an expert in communication among bacteria that associate with soil, plants, and insects. She helped pioneer the field of metagenomics, bridging agricultural and medical sciences. She is also recognized for her research on science education and women and minorities in science, and received the Presidential Award for Excellence in Science Mentoring in 2011. 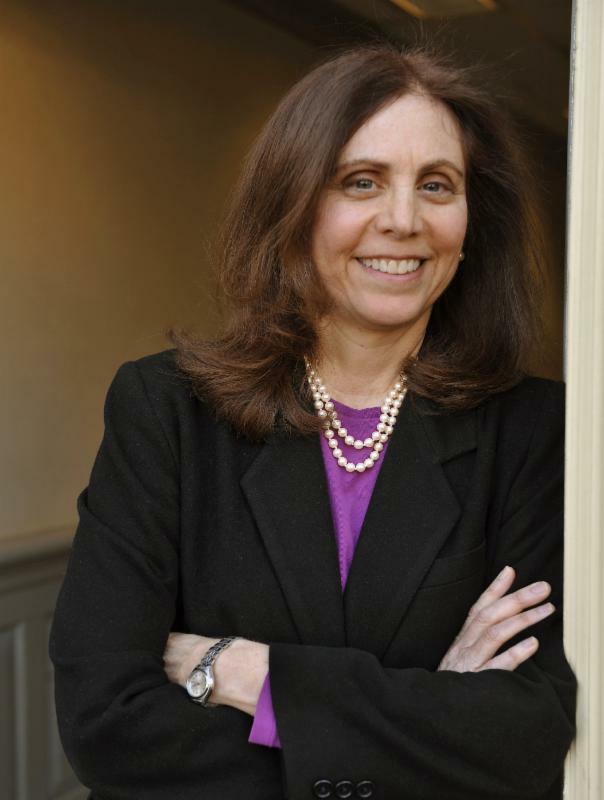 Dr. Handelsman also co-chaired the PCAST working group that developed the 2012 report, “Engage to Excel,” which contained recommendations to the President to strengthen STEM education to meet the workforce needs of the next decade in the United States. Prior to joining OSTP, Dr. Handelsman was the Howard Hughes Medical Institute Professor and Frederick Phineas Rose Professor in the Department of Molecular, Cellular and Developmental Biology at Yale University. She received a B.S. from Cornell University and a Ph.D. in Molecular Biology from the University of Wisconsin-Madison. This event is part of the University of Pennsylvania’s ongoing efforts in support of the One Health Initiative, which is dedicated to improving the lives of all species through the integration of human medicine, veterinary medicine, and environmental science. Penn Vet’s Center for Host-Microbial Interactions is designed to facilitate collaborative projects that leverage genomics to study the intersection of microbes and disease. In doing so, researchers gain insight into how bacteria, parasites, viruses, and other organisms interact with their animal and human hosts in ways that either maintain health or lead to disease. Each year, the Center invites researchers to submit proposals for funding. Additionally, the Center provides ongoing support and training for Penn Vet faculty and their labs to carry out analyses of the complex datasets generated by genomic approaches. For more information about the Center, click here. Each of us lives in association with vast numbers of microbes that colonize our bodies and influence our long-term health. Many trillions of microbes—too small to be seen by the naked eye--live in our guts and elsewhere on our bodies. These microbes contribute to health by helping with digestion, guiding growth of our immune systems, and shouldering out invading pathogens. Human individuals differ greatly in the composition of their microbiota, and evidence suggests that distinctive populations in each of us influence our health in unique ways. The University of Pennsylvania and the Children’s Hospital of Philadelphia have launched a Microbiome Program to take advantage of new research in this area to advance the health of children and adults. The goals of the PennCHOP Microbiome Program are to understand the human microbiome and alter its priorities to improve health. Penn Vet is a global leader in veterinary education, research, and clinical care. Founded in 1884, Penn Vet is the only veterinary school developed in association with a medical school. The school is a proud member of the One Health Initiative [www.onehealthinitiative.com], linking human, animal, and environmental health. “One Health” is the integrated three-part paradigm for infectious diseases that “spillover” from animals to humans and can cause epidemics: (1) human health, (2) animal health, and (3) ecohealth. This symposium will explore the relationship between One Health and the GHSA. The symposium is open to the Georgetown University community and the public. Please RSVP to organizer Daniel Lucey MD, MPH at drl23@georgetown.edu. Note: *Drs. Lawrence Madoff and Cheryl Stroud are longstanding One Health supporters http://www.onehealthinitiative.com/supporters.php. Dr. Madoff is also a member of the One Health Initiative team’s Honorary Advisory Board http://www.onehealthinitiative.com/advBoard.php. COLORADO SPRINGS, Colo. — “We’re all coming to the same conclusion, at the same time,” says Dr. Mike Apley, Professor, Production Medicine/ Clinical Pharmacology at Kansas State University and key speaker at the upcoming NIAA-hosted Antibiotics Symposium to be held in Atlanta, November 3-5. The Symposium’s theme this year is Antibiotics Stewardship: From Metrics to Management. Apley admits that coming up with a definitive yardstick to measure risk benefits that all parties can agree on will be very difficult. However, the opportunity to have the conversation, face to face, in the same room is what he finds exciting about NIAA’s Symposium. “If we just exchange information through social media or press releases, we’re never going to move this anywhere,” says Apley. He looks forward to having discussions with people who are dealing with patients, whether those patients are human, food animals or pets, about what they are seeing and hearing. “That’s how we are going to find common ground to work together,” says Apley. For more information or to register online go to www.AnimalAgriculture.org/2015-Antibiotics-Symposium or contact the NIAA by calling 719-538-8843 or emailing niaa@animalagriculture.org. Colorado Springs, Colo. – The National Institute for Animal Agriculture (NIAA) will be hosting its fifth annual antibiotic symposium, November 3-5, 2015 in Atlanta, Ga., at the Crowne Plaza Atlanta Midtown. This year’s conference is titled, Antibiotic Stewardship: From Metrics to Management and will be a unique forum bringing together leading researchers, government officials, retailers, and industry professionals in animal and human health. Dr. Gray is a member of the One Health Initiative team’s Hon. Advisory Board http://www.onehealthinitiative.com/advBoard.php. Do you have a passion for animal, human and environmental health? Are you driven to make a positive impact on the world we share? RSVP to mcm@tufts.edu to receive Webinar WebEx meeting information or to secure spot at the Open House. Interdisciplinary in nature, Cummings School's Master of Science in Conservation Medicine is a 12-month professional master’s degree that focuses on health relationships occurring at the interfaces of humans, animals, and the environment. This program equips students from diverse backgrounds with the expertise and collaborative skills to work with other professionals, scientists, policy-makers, and local communities to develop and implement solutions for global issues and other important health-related challenges. Application deadlines for fall enrollment are February 1 and April 1, 2016. Please join One Health Academy on Thursday, November 12th, 2015 at 6:30 PM at the NEW Capital Yacht Club (660 Water St SW) in Washington, DC where our guest speaker will be Dr. Andrew Maccabe. Please RSVP, by e-mailing Onehealthacademy@gmail.com. Dr. Maccabe will discuss One Health in Veterinary Medical Education - AAVMC Celebrates 50 Years of Service. Upcoming One Health events are also listed on our website here. The One Medicine Symposium is hosted by the NC Department of Agriculture and Consumer Services and NC Department of Health and Human Services in cooperation with NC State University College of Veterinary Medicine, UNC Gillings School of Global Public Health, USDA APHIS Veterinary Services, and NCSU Office of Professional Development. This annual conference provides professionals from a variety of backgrounds with current information and take-home tools to improve awareness and understanding of the topics from a One Medicine perspective, promote collaboration across professional disciplines, and enhance preparedness for natural or man-made disasters, infectious disease outbreaks, and other challenges affecting human and animal health. If you wish to be removed from further emails regarding the One Medicine Symposium, please respond to anna.allen@ncagr.gov. NOTICE: E-mail correspondence to and from this address may be subject to the North Carolina Public Records Law and may be disclosed to third parties by an authorized state official. This fellowship project aims to establish collaborative research/educational opportunities between early to mid-career investigators, their research mentors or institution directors from Pakistan and U.S. experts in One Health (1-H) currently working in countries with similar disease burden to Pakistan. The 12-month fellowship program will be initiated by a one-week planning symposium in early March 2016 attended by the program’s oversight committee, U.S. affiliated and Pakistani mentors, and the fellows. This symposium will be structured to maximize collaborations among the participants. During that week, mentors and fellows will develop their research plan, taking advantage of the multidisciplinary aspect of the proposed projects, and will together establish clear goals and deliverables. Do animals get breast cancer? Overeat? Have anxiety attacks? The answers may astound you. From The New York Times bestselling book, Zoobiquity: The Astonishing Connection Between Human and Animal Health, witness the story of a cardiologist whose help treating a monkey led to a journey of discovery of what animals can teach us about the human body and mind. These astonishing connections could help us diagnose, treat and heal patients of all species. This program provides an opportunity for 2 professional and/or graduate students to participate in a 13-week summer research program at Texas A&M University. This research environment will provide an opportunity to conduct hands-on research with accomplished faculty, including learning to develop a research plan, obtain research results, and analyze and present data in both oral and poster formats. For more information, visit http://onehealth.tamu.edu/education/on-campus-summer-research. Planetary health is an interdisciplinary field focused on understanding and quantifying the human health impacts of the accelerating transformation of most of Earth’s natural systems including the climate system, land use and land cover, marine systems, biogeochemical cycles, changes in the community composition of plant and animal communities and others (for more details, see The Rockefeller Foundation-Lancet Commission Report on Planetary Health). With support from The Rockefeller Foundation, the Planetary Health Alliance (PHA) at Harvard University has created The Rockefeller Foundation Planetary Health Fellows program to enable recent doctorate recipients to use and expand Harvard's extraordinary resources to tackle complex planetary health issues. The RFPH Fellows will work for two years with Harvard faculty members in any school or department to create new knowledge while also strengthening connections across the University's academic disciplines. Examples of ongoing work in this field can be found on the websites of the PHA Director, Sam Myers, or the Associate Director, Chris Golden. For additional information, visit https://www.researchgate.net/job/862705_Rockefeller_Foundation_Planetary_Health_Fellows_Program_at_Harvard_University. WHO’s Internship Programme offers a wide range of opportunities to gain insight in the technical and administrative programmes of WHO. The duration of WHO internships is between 6 and 12 weeks. WHO internships are not paid, and all costs of travel and accommodation are the responsibility of the intern candidate. For more information, visit http://who.int/employment/internship/en/. Veterinary science and human medical science can combine to achieve efficiencies that translate across species. This is already happening through ongoing cross-disciplinary collaborations among veterinarians, physicians and scientists. Panelists will give an overview of current progress in the One Health movement and speak candidly about its impact on medicine. There will be a dedicated Q & A at the end of the session. Sack lunch provided through generous support by the Institute of Clinical and Translational Sciences (ICTS) at WUSM. Open to the public. Space is limited to 75 people. Register via Eventbrite here. Leading scientists, One Health practitioners and international policymakers have agreed to speak at the One Health in the Real World: zoonoses, ecosystems and wellbeing symposium now taking registrations. Professor Jeremy Farrar, Director of the Wellcome Trust, will deliver the opening keynote at the event, which is being organised by the Dynamic Drivers of Disease in Africa Consortium, in partnership with the Zoological Society of London (ZSL) and the Royal Society. Further keynotes will be delivered by: Dr David Nabarro, UN Special Envoy on Ebola; Professor Melissa Leach, Director, Institute of Development Studies (IDS), UK; Dr Peter Daszak, President, Ecohealth Alliance; Professor Bassirou Bonfoh, of the Swiss Tropical and Public Health Institute (Swiss TPH); and Dr Delia Grace, of the International Livestock Research Institute. Present new interdisciplinary frameworks for a real-world One Health approach to zoonoses. The international summer course One Health aims to provide knowledge, skills and competences regarding efficient solutions to the multifaceted global challenges to human, animal and environmental health through cross- disciplinary research, education and collaboration between relevant institutions and stakeholders. The summer course primarily focuses on zoonoses, emerging diseases, and emerging health-related problems (drug resistance, toxins, pollution, etc.). [January 15, 2016; Philadelphia, PA] – How does a French bulldog with atopic dermatitis impact human medicine? What can we learn from a feather-plucking parrot? Can a gorilla with heart disease teach us anything about human cardiology? Experts in veterinary and human medicine are often confronted with similar clinical challenges and shared diagnoses. On Saturday, April 2, 2016, they will present results and work in progress from collaborative studies during the Zoobiquity Conference 6. Part of a series of nationwide events, Zoobiquity Conference 6 is designed to foster conversations and collaborations that can lead to new ways to diagnose, model, and treat diseases in all species. Registration is open at www.zoobiquity2016.com is limited to the first 240 healthcare professionals and 70 students. This event is co-sponsored by Penn Vet, Penn Medicine, and the Pennsylvania Veterinary Medical Association. Barbara Natterson-Horowitz, MD, author of the New York Times best-seller, Zoobiquity: The Astonishing Connection Between Human and Animal Health, will make introductory remarks. Stephanie Murphy, VMD, PhD, Director of the Division of Comparative Medicine at the National Institutes of Health, will give a keynote address, and Pennsylvania Secretary of Agriculture Russell Redding will provide closing remarks. Morning case presentations will take place at the Arthur H. Rubenstein Auditorium at the Smilow Center for Translational Medicine at the Perelman School of Medicine (3400 Civic Center Blvd, Philadelphia). Afternoon clinical rounds will take place at Penn Vet’s Hill Pavilion, Penn Vet’s New Bolton Center, and the Philadelphia Zoo. or more information, visit www.zoobiquity2016.com. Penn Vet is a global leader in veterinary education, research, and clinical care. Founded in 1884, Penn Vet is the only veterinary school developed in association with a medical school. The school is a proud member of the One Health Initiative www.onehealthinitiative.com , linking human, animal, and environmental health. COLORADO SPRINGS, Colo. — “I’ve been impressed every year with the NIAA Annual Conference themes and how they are presented,” says Paul Rodgers, Deputy Director of Policy at the American Sheep Industry Association. “The General Sessions give a broad prospective of the year’s theme, and the special Sessions set aside for individual species really let you dig into the topic and its impact on your own area of the industry.” NIAA member Rodgers serves as a co-chair, along with Ron Miller, Pennsylvania Department of Agriculture, for the NIAA Small Ruminant Committee and its session at this year’s NIAA Annual Conference to be held in April in Kansas City, Mo. Each year, the National Institute for Animal Agriculture chooses a theme for its Annual Conference from the most important and trending topics impacting species across the animal agriculture industry. The 2016 theme "From Farm to Table – Food System Biosecurity for Animal Agriculture" will focus on identifying risks, challenges and solutions of animal disease epidemics at a time when both the swine and poultry industries are still recovering from much-publicized and economically damaging disease outbreaks. Dr. Glynn Tonsor, Associate Professor, Department of Agricultural Economics, Kansas State University, will be addressing the economic risk of animal disease spread and the investment into biosecurity. Tonsor will approach the subject from the regulatory side of food safety and animal health, as well as the practices, choices and incentives which drive decision making on biosecurity. “Integrity of Risk Assessment Science Underlying USDA Policy” is the title of Dr. Mark Thurmond’s presentation to the Small Ruminant Session. Thurmond is Professor Emeritus at the Department of Medicine & Epidemiology, School of Veterinary Medicine, at University of California, Davis. He will look at the difference between qualitative and quantitative risk assessment in risk modeling, and speak to the process of putting a numerical values on risk. Dr. Linda Detweiler, Clinical Professor, Department of Pathobiology & Population Medicine, College of Veterinary Medicine, at Mississippi State University, will present on the subject of “Emergency Response Preparedness: Considerations for the Small Ruminant Industry.” She will focus on diseases more specific to the Small Ruminant industry. The National Foundation for Infectious Diseases (NFID) welcomes abstract submittals for oral or poster presentation at the 2016 Annual Conference on Vaccine Research (ACVR), scheduled for April 18-20, 2016 in Baltimore, MD. The deadline for abstract submissions is 11:59 pm on December 1, 2015. The 2 ½ day conference provides a forum for high-quality, current reports of scientific progress and best practices, and brings together the diverse disciplines involved in the research and development of vaccines and associated technologies for disease control through immunization. Join international scientists and researchers, healthcare professionals and trainees, veterinarians, vaccine manufacturers, and public health officials at this exciting conference designed to encourage the exchange of ideas across a broad range of disciplines. Additionally, NFID invites individuals in the early stages of their career in any field of vaccinology to apply for the Maurice R. Hilleman Early-Stage Career Investigator Award which includes $10,000 to support future research. The Science Behind One Health, at the interface of humans, animals and the environment. The 2nd International Conference on One Medicine One Science (iCOMOS) is an upcoming event of great interest to human and animal health care scientists and professionals, economists, trainees, environmental scientists, ethicists, public health and chronic disease specialists and policy experts in health, agriculture, food, and environmental affairs. iCOMOS is a global forum to (i) communicate the importance of science in solving pressing health issues at the interface of humans, animals and the environment; (ii) facilitate interdisciplinary, international collaborations embracing health, science and economics; and (iii) inform public policy development that is necessary for preserving human and animal health. Following on the success of iCOMOS 2014, this conference is presented by the College of Veterinary Medicine, the Institute on the Environment, the Office of the Vice President for Research, and the Academic Health Center; University of Minnesota. At the end of each session, speakers and conference attendees will participate in a discussion panel to explore the research and foster new connections. Mission: The Stanford One Health 2016 symposium aims to educate medical and veterinary professionals on cutting edge cross-species basic and clinical research that benefits both humans and animals. Recently, there is substantial interest within the research community in improving our understanding of diseases in animals and how to better utilize that knowledge to improve human and animal health. Stanford is recognized around the world for its collaborative and innovative approaches to research and is now working to improve cooperation between veterinarians, medical doctors and basic science researchers. We encourage the speakers and attendees to meet and discuss their research with scientists from other disciplines in order to foster innovative research collaborations and novel research directions. Please join us this May in San Antonio, Texas for the 66th meeting of the James Steele Conference on Diseases in Nature Transmissible to Man. This conference provides excellent, informative presentations by local, state, national, and international experts, continuing education credits for multiple disciplines, and a great opportunity to network with colleagues and make new friends. Come and enjoy all that historic San Antonio has to offer! Where: The Omni San Antonio Hotel at the Colonnade (http://www.omnihotels.com/hotels/san-antonio). Registration Fee: Online registration opens January 4th. $300.00 for full conference registration. Daily registration ranges from $75.00-$150.00. Early registration closes May 1, after which a $50.00 late registration fee will apply. Continuing education credits for multiple disciplines will be provided for this event. Conference Website: For complete conference information, including a link to our new online registration page, please visit the conference website at https://sites.google.com/site/diseasesinnature/. We look forward to seeing you in San Antonio!!! The next International Conference on HFRS, HPS and Hantaviruses will be held on the campus of Colorado State University and hosted by the Department of Microbiology, Immunology and Pathology. The venue will be the CSU University Center for the Arts. Campus housing will be available; however, two hotels are nearby, the Hilton Hotel and the Best Western University Inn. Further information will be provided as the conference date approaches. The Alabama Cooperative Extension System's Urban Affairs & New Nontraditional Programs Unit at Alabama Agricultural and Mechanical University (AAMU) and its partners cordially invite you to participate in the SerPIE - One Health Conference on Pharmaceuticals and Personal Care Products (PPCPs) to be held June 19-20, 2016, at the Embassy Suites Hotel in Huntsville, Alabama. WE ARE CURRENTLY SEEKING EXHIBITORS AND SPONSORS FOR THE EVENT. FOR MORE INFORMATION PLEASE GO TO THE LINK PROVIDED BELOW TO CONNECT TO THE CONFERENCE WEBSITE. The rise of antibiotic resistant bacteria has created a crisis in medicine and veterinary medicine. The use of antibiotics as growth promoting agents in livestock has been a highly political issue. Europe approved avoparcin, a growth-promoting antibiotic, in the 1970’s. Its widespread use led to the rise of vancomycin resistant Enterococcus faecium (VRE). In contrast, the US has requested that its livestock producers voluntarily stop using antibiotic growth promoting agents. Using a One Health approach by integrating the perspectives of medicine/public health and veterinary medicine/agriculture, this presentation briefly compares and contrasts the EU versus the US experience regarding antibiotic use, antibiotic resistance, and livestock production. 1. Understand the history behind low dose antibiotic use in agriculture. 2. Understand how the rise of vancomycin resistant Enterococcus faecium (VRE) drove public policy in Europe. 3. Understand the different policy approaches in Europe and the U.S. regarding avoparcin, a growth-promoting antibiotic used extensively in pork production, and how they impacted VRE epidemiology. 4. Understand how genomics can play a crucial role in antimicrobial resistance surveillance. Part 2 of this webinar series, "Antimicrobial Resistance in the Environment", will be held on Wednesday, July 13, 2016 at 11am EDT. Click here for more information and to register. "One Health can provide a safe, 'no judgment zone' for many needed conversations surrounding our most difficult global and environmental health challenges. Yesterday [July 6, 2016] the One Health Commission was pleased to present Dr. Kahn's data driven research in her webinar, 'One Health and the Politics of Antibiotic Resistance'. The first of a two-part series, that webinar saw over 200 online attendees from over 30 countries. Now that the word is out, next week's webinar on 'Antimicrobial Resistance and the Environment' will likely draw even more participants." This presentation will discuss findings of widespread antibiotic resistance in the environment. Massive amounts of human and animal waste applied to agricultural fields alter the global “resistome.” Wildlife never exposed to antibiotics harbor antibiotic resistant bacteria in their feces. The Human Microbiome project has found that microbial cells outnumber human cells by an estimated 10-fold, fundamentally changing our perceptions about health and disease. Taken together, the findings of antibiotic resistance in external and internal environments suggest that human antibiotic use has altered global microbial populations in ways that we do not fully understand. We are fast approaching a post antibiotic era. This presents challenges and opportunities and will require a One Health approach to succeed. The Institute for the Science of Origins and Great Lakes Science Center present: Real Science Now! The Newest Science and Medicine Unblinkingly Distilled for the Public, Press and Republican National Convention. Free and open to the public! See you there! Note: The One Health concept is a non-partisan issue and all informational materials presented by Dr. Kahn at the upcoming RNC meeting are for educational purposes. This webinar will provide an overview of Taenia solium taeniosis/cysticercosis, its epidemiology, impact on human health and economic burden. One Health challenges for detection and treatment as well as opportunities for combating cysticercosis will be discussed. Click here to register. Don’t miss U.S. Public Broadcasting System (PBS) Program - Of great “One Health” realm importance! The 2016 U of S One Health Leadership Experience will be held from Friday, Aug. 26, to Sunday, Aug. 28, in Saskatoon, Sask. In partnership with the Schools of Veterinary Medicine at University of Missouri and Kansas State University, the Kansas City Area Life Sciences Institute will present a two day symposium focused on the translational and comparative aspects of human and animal medicine. The August 28 – 29 event entitled “One Health Innovations – The Nexus of Human and Animal Medicine” will be held at the Kansas City Convention Center. The Kansas City Area Life Sciences Institute is pleased to welcome Former Captain Luis Carlos Montalván, a New York Times bestselling author, speaker, and advocate as our guest speaker during lunch on Monday, August 29. Luis, along with his beloved service dog, Tuesday, has spoken to hundreds of thousands of people across North America about disability awareness, trauma, and healing. Their story of service, sacrifice, and restoration is touching and inspirational, providing undeniable proof of the unique bond that can occur between dogs and people. Designed for physicians, veterinarians, and scientists interested in research and clinical studies, the two-day Symposium will feature speakers including Francis Karanu BVM, PhD, Cell Therapy Research Scientist, Likarda, LLC; David Baron, PhD, Chief Scientific Officer, Polycystic Kidney Disease Foundation; Jeffrey Bryan, DVM, MS, PhD, DACVIM – Oncology, Associate Professor of Medical Oncology, University of Missouri; and *James Cook, DVM, PhD, William and Kathryn Allen Distinguished Professor in Orthopaedic Surgery, Director, Orthopaedic Research Division, University of Missouri. The Symposium will be presented in 1 hour segments on topical areas with 3 speakers, a human health, animal health and industry/regulatory speaker followed by a panel discussion. Abstracts from this year’s Symposium will be published in the Journal of Clinical and Translational Medicine and printed copies will be available for Symposium attendees. *Dr. Cook is a member of the One Health Initiative Advisory Board http://www.onehealthinitiative.com/advBoard.php. Physician and research scholar in the Program on Science and Global Security at Princeton University’s Woodrow Wilson School of Public and International Affairs. She is the author of One Health and the Politics of Antimicrobial Resistance. Aimed to public veterinarians involved in administration, control and eradicating of infectious diseases, export and import of animals and products of animal origin, farm animal and poultry practitioners and laboratory specialists involved in diagnosis of contagious animal diseases. Course participants must have a relevant academic degree and at least three years of practical work experience. A very good command of the English language is essential. Application forms and other information may be obtained at the nearest Israeli mission and at Israel's Ministry of Foreign Affairs website: http://mashav.mfa.gov.il (in Contact Us → Information and Registration). Completed application forms, including the medical form should be sent to the Israeli mission in your area and also faxed or e-mailed to the CINADCO Training Center in Israel: Fax no: +972 3 9485771 / e-mail: sigalp@moag.gov.il by or before July 18th, 2016. Save the date for the Animal Biotech Summit, a two-and-a-half day conference focused on using biotechnology to advance the objectives of One Health. The Animal Biotech Summit will provide an opportunity to learn why and how the One Health approach is required for addressing some of the greatest threats to human and animal health. Formerly known as the BIO Livestock Summit, the Animal Biotech Summit has been broadened to show how the tools of biotechnology allow us to understand, identify, solve and prevent problems at the intersection of animal, human, and environmental health. The Summit will provide overviews on some of the animal health, biomedical research, therapeutic, food safety and security, and environmental applications of various biotechnologies. BIO would like to thank the following thought leaders from industry, academia, and government for their contributions in developing this year's program. Theme: Smart Hospitals and Healthcare: Health Care Management & Leadership, Risk, Quality, and Productivity. Please transfer this news for your colleagues around the world. This academic congress is organized by IARMM and aims to improve and promote the science and technology of better clinical safety in health care. The congress covers a wide range of topics such as patient safety, medication safety, medical device safety, infectious disease outbreak, and the other related subjects. We are sure that the Congress will assist the world wide exchange of knowledge and skill around the world. A time is to submit your abstract to meet and share information with our world colleagues. Organising this One Health Inter-Regional European Conference comes as a natural consequence of the momentum that the One Health concept has gathered for the last couple of years. Romania is truly honoured to be part of the One Health movement and firmly believes that due to its half of century experience in comparative medicine and not only, will have a positive impact on the One Health trajectory. The conference will be organised under the auspices of the Federation of European Academies of Medicine (FEAM) by close collaboration of the Romanian Academy of Medical Sciences and the One Health New Medical Concept Association in Romania. September 28th, 2016 will be the 10th annual World Rabies Day. There are several exciting plans in the pipeline for this milestone in the event’s history and – of course - we look forward to hearing your plans too. 2. tag the event #WorldRabiesDay (so other people can find you and to build momentum behind the hashtag). As I mentioned in the opening paragraph, there is more in the pipeline and we will be in touch soon with updates. We look forward to sharing them with you - and we look forward to sharing your World Rabies Day events with the world. Let's keep pushing for elimination by 2030 by making #WorldRabiesDay 2016 the best so far.